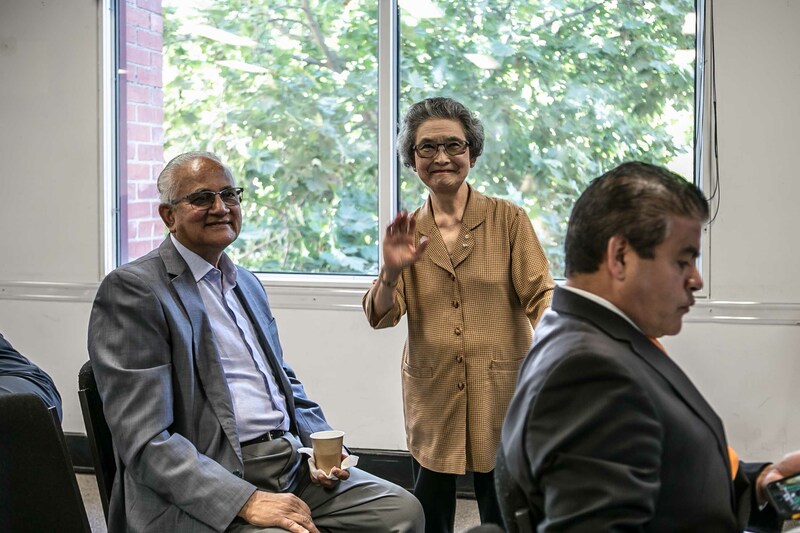 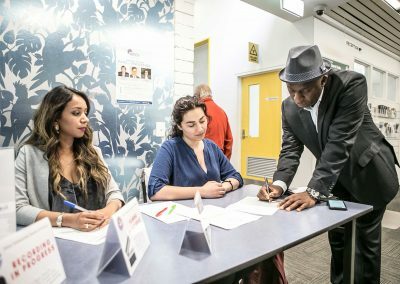 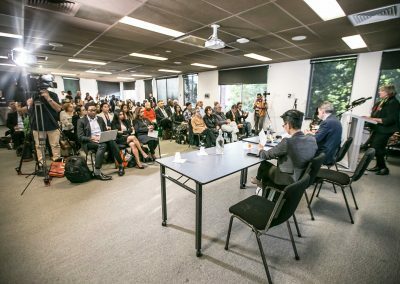 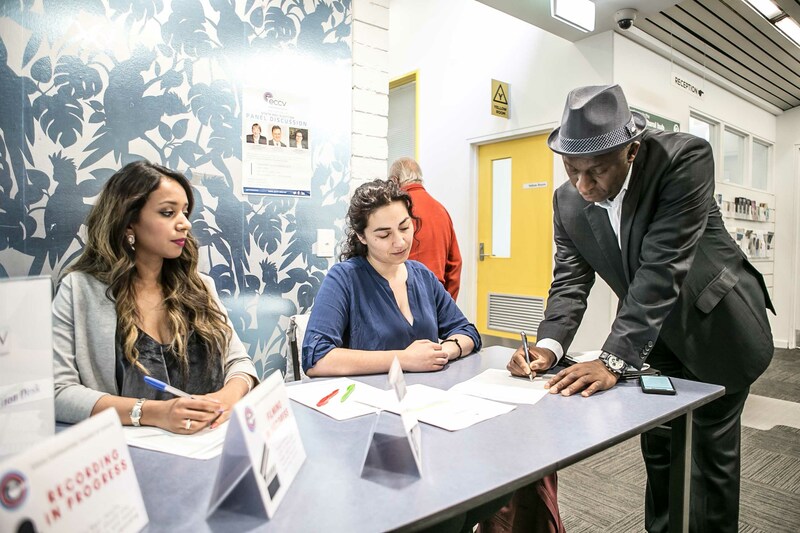 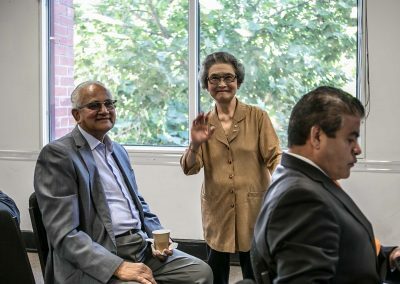 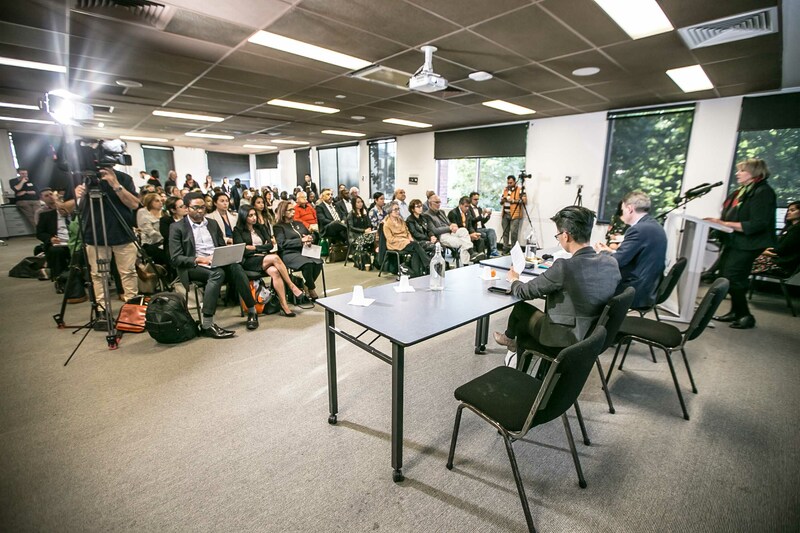 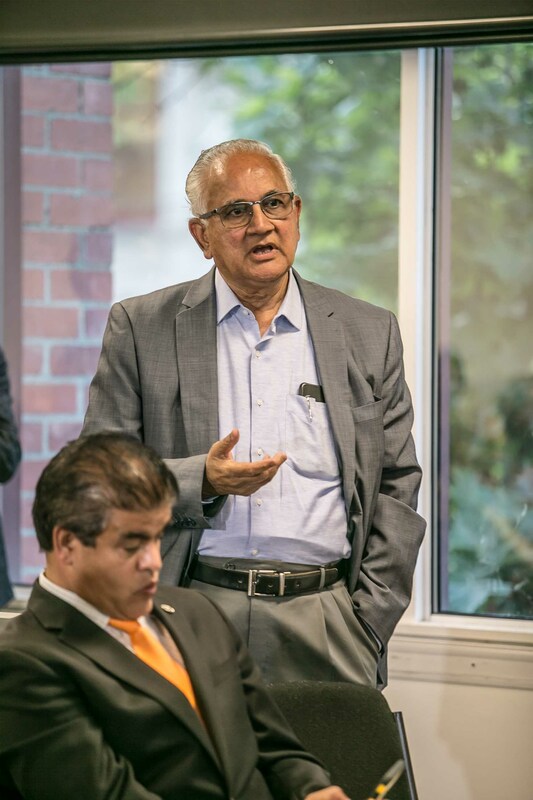 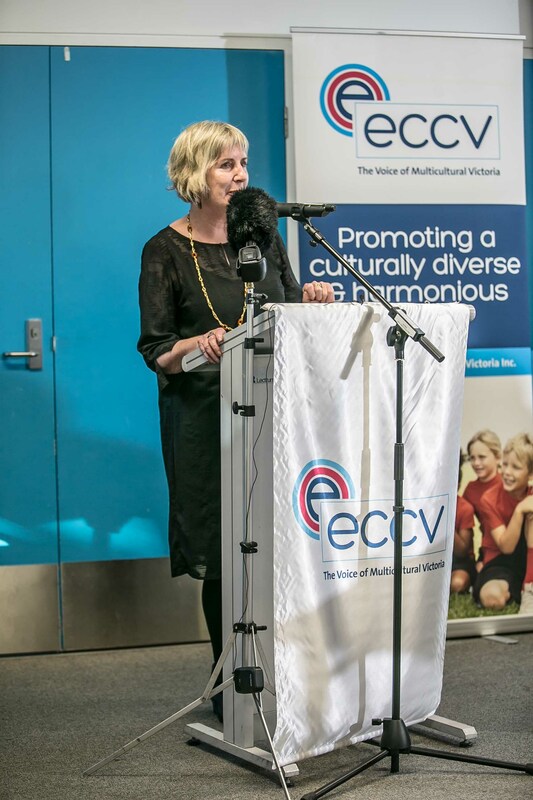 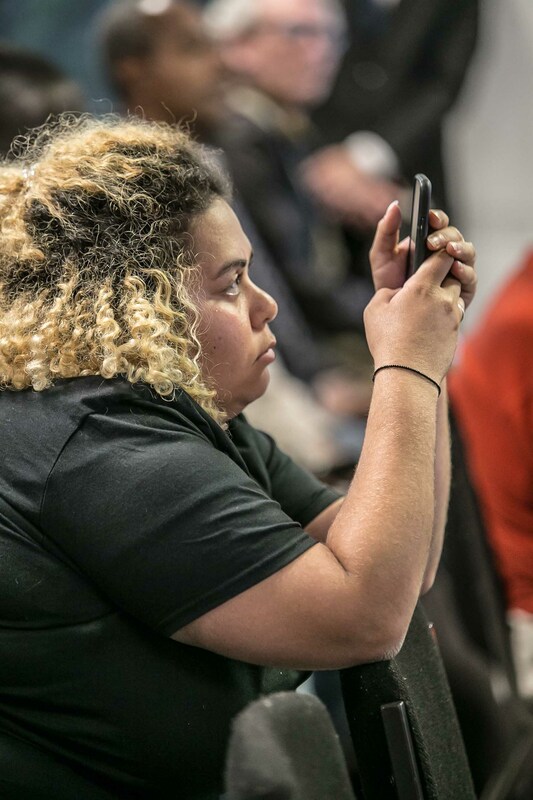 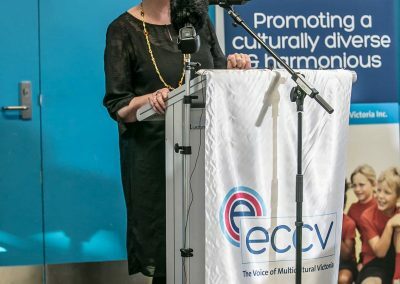 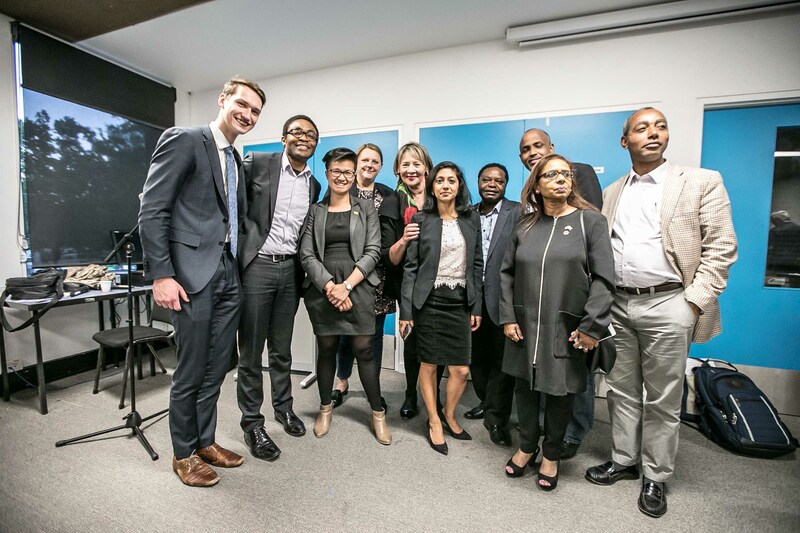 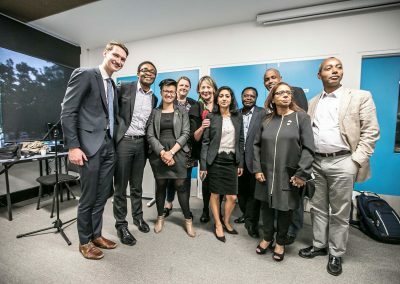 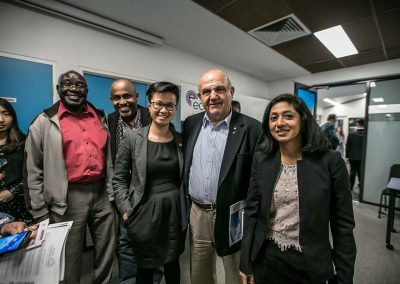 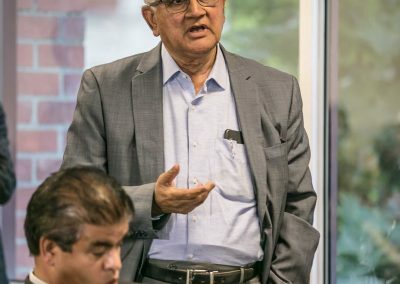 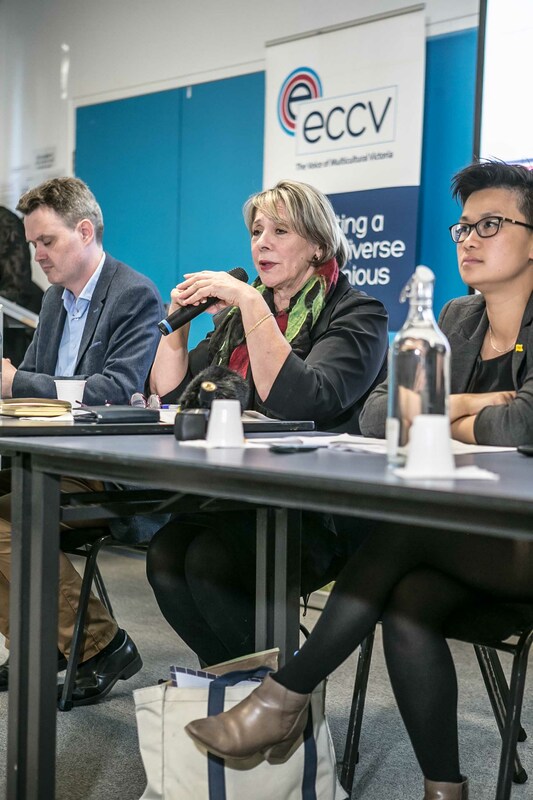 ECCV hosted the State Pre-Election Multicultural Policy Discussion event on Thursday November 15, 2018. 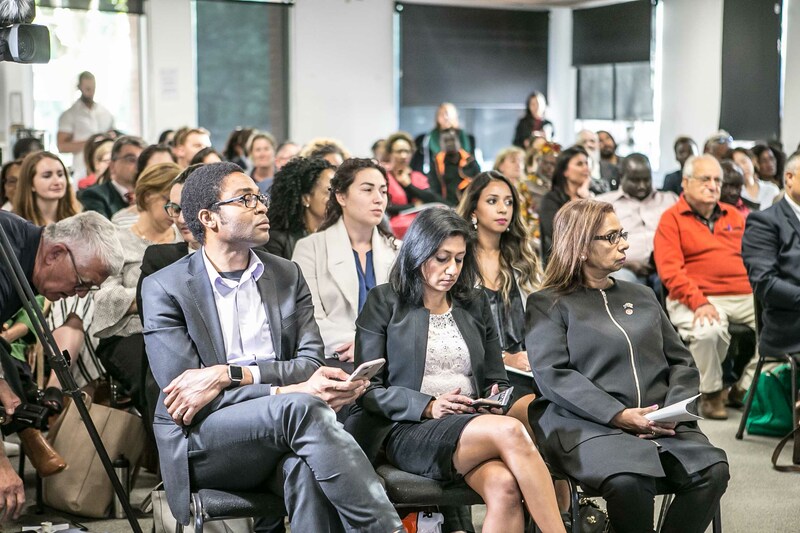 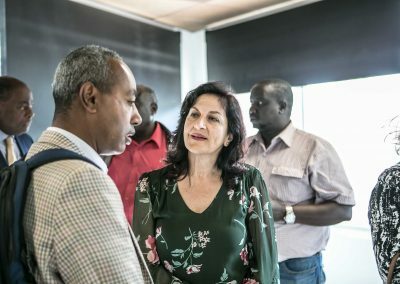 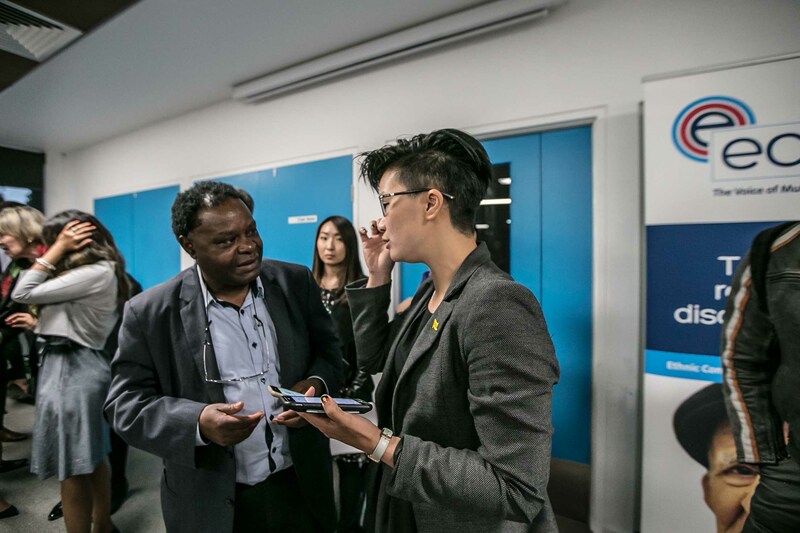 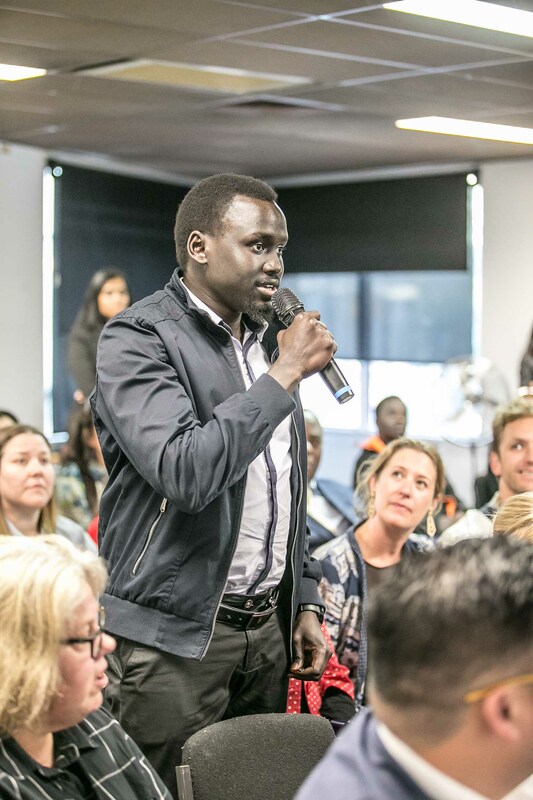 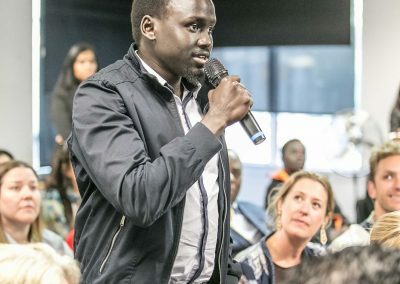 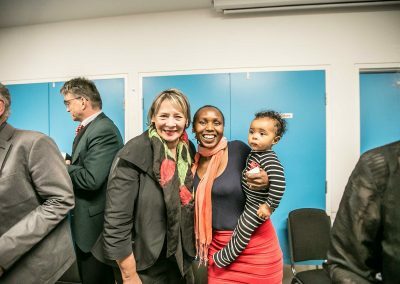 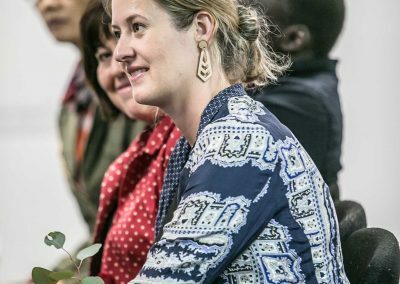 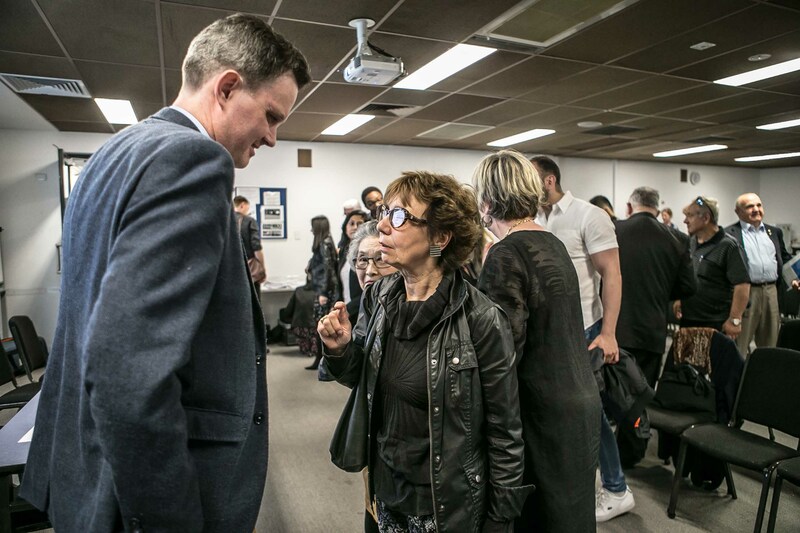 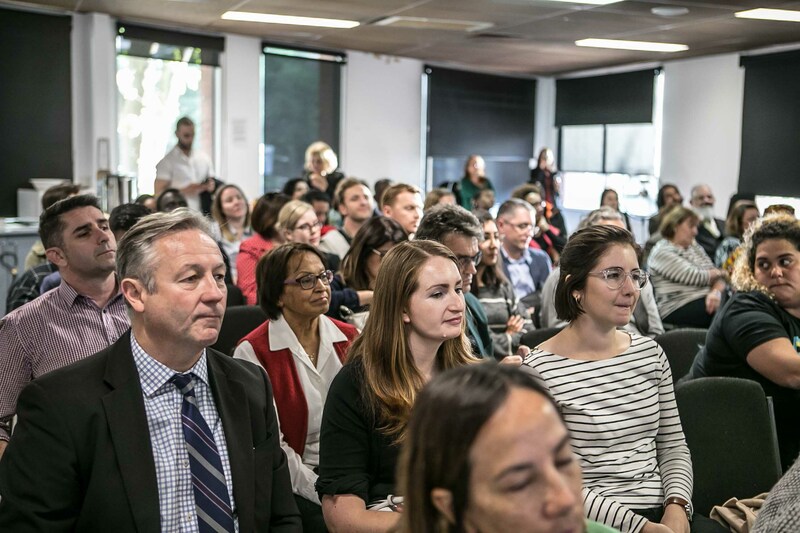 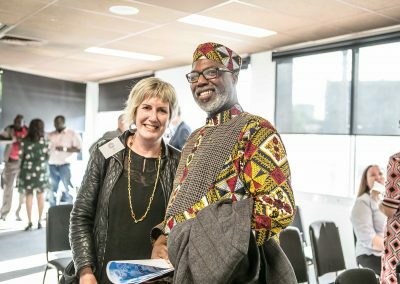 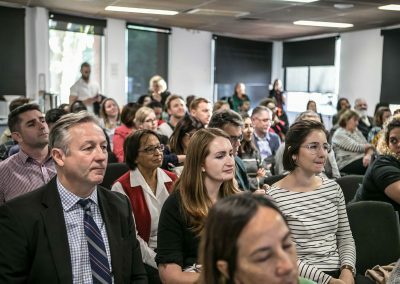 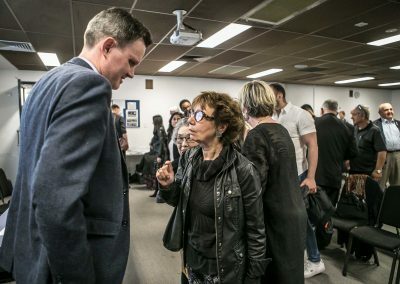 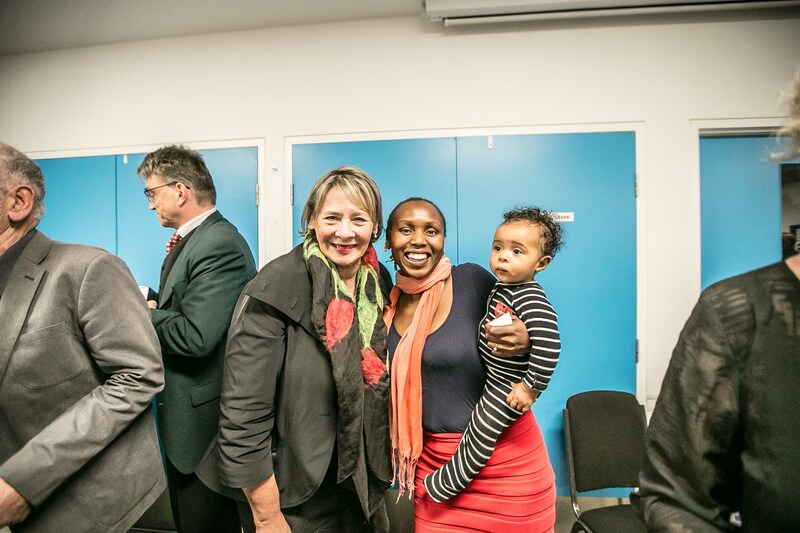 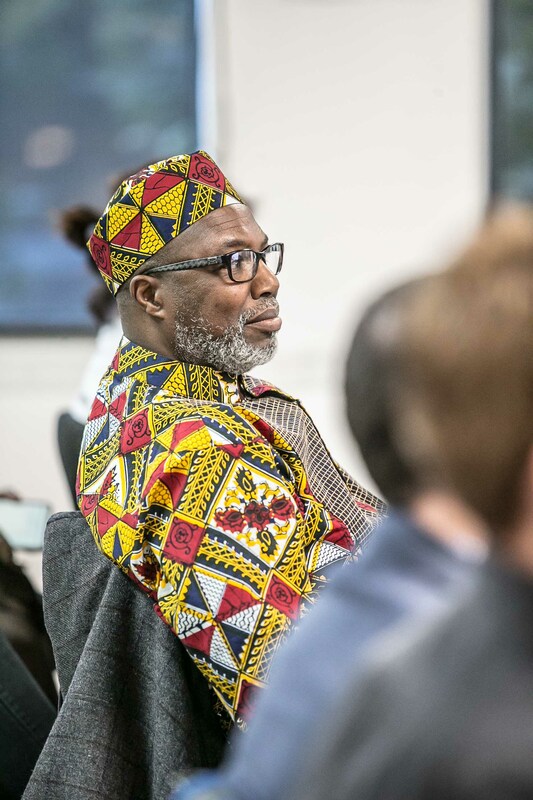 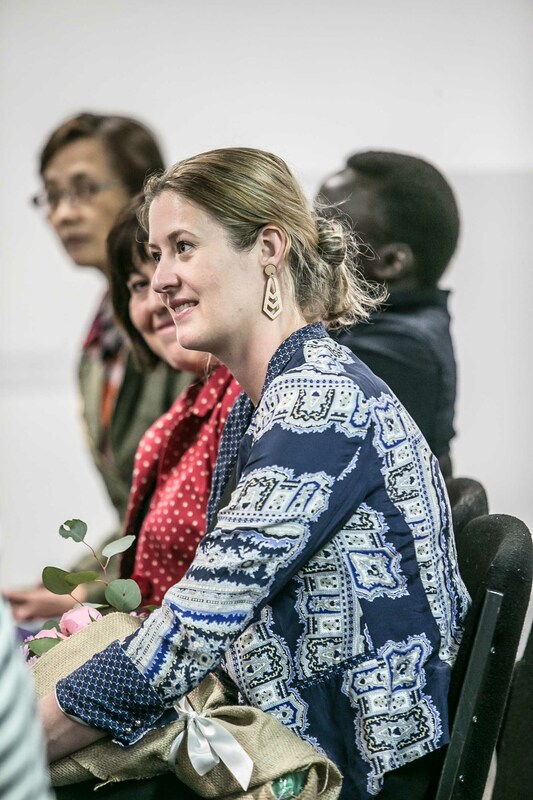 The event was attended by 100+ community representatives committed to better policy outcome affecting Victorian ethnic and migrant communities. 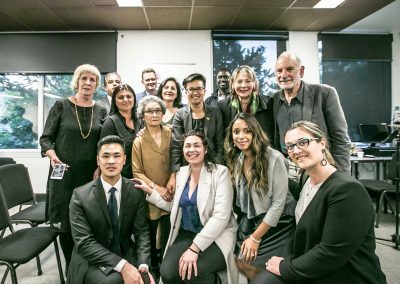 Politicians representing the Victorian Labor, Liberal and Greens Party’s, Robin Scott, Inga Peulich and Huong Truong outlined their multicultural policies with the audience including in depth questions in a Q&A. 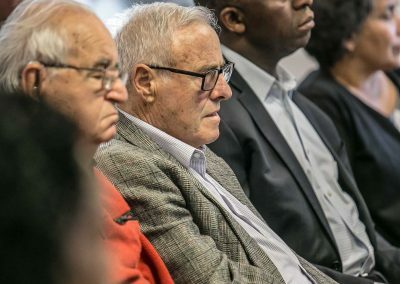 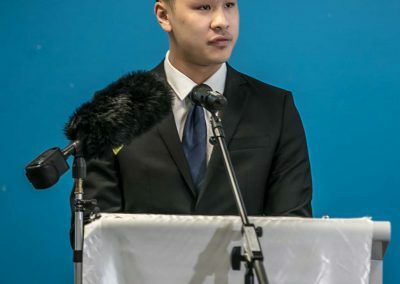 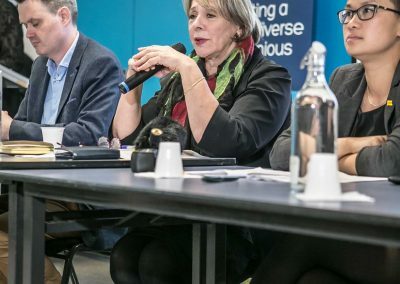 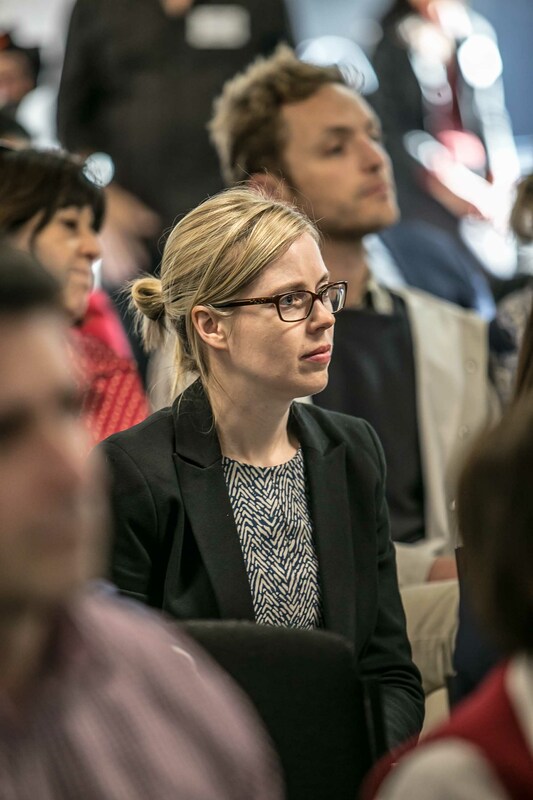 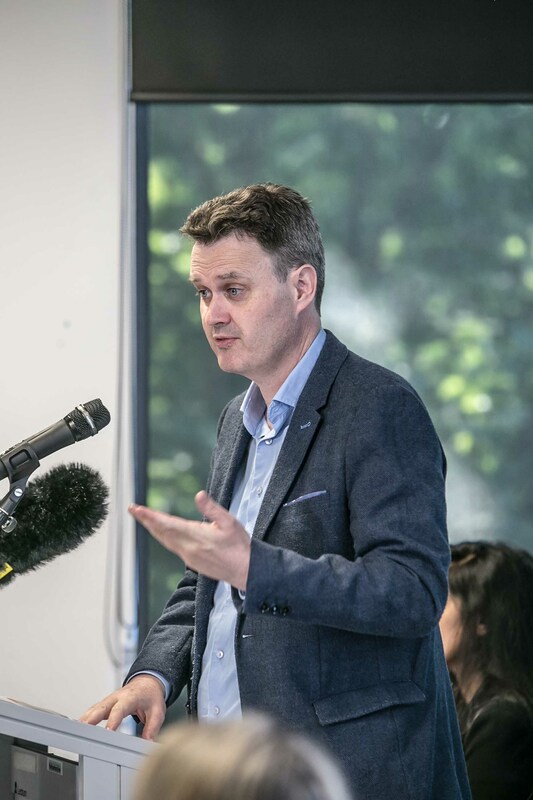 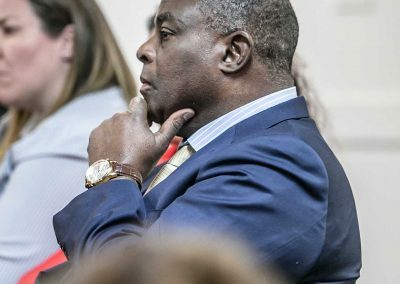 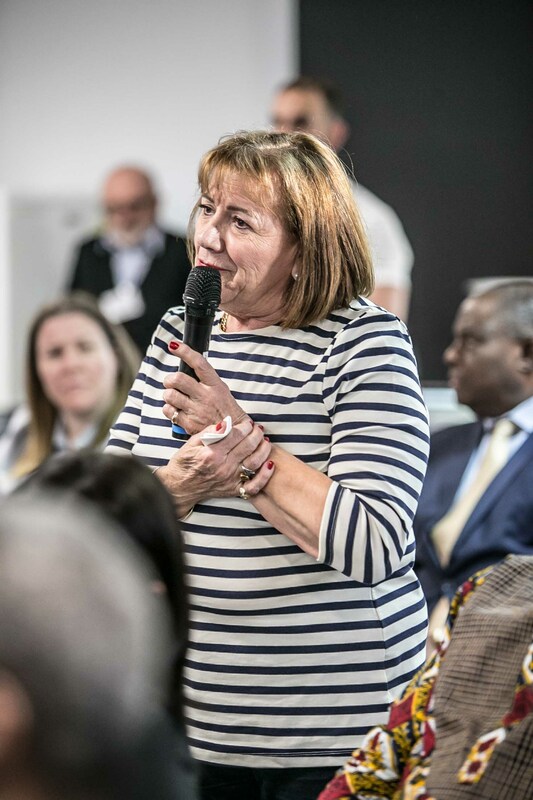 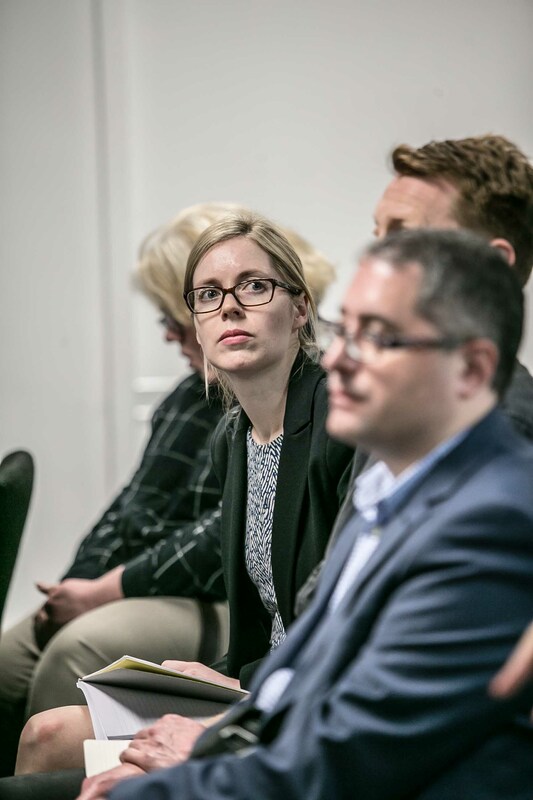 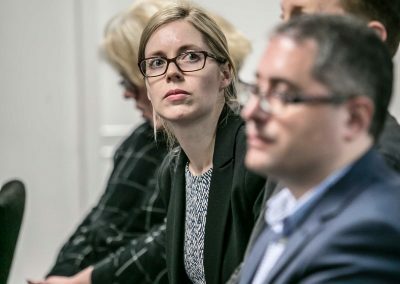 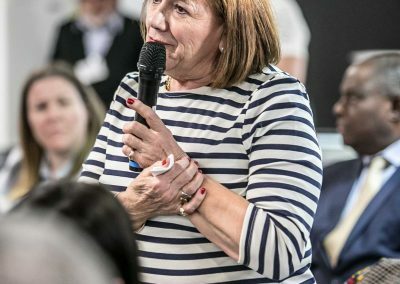 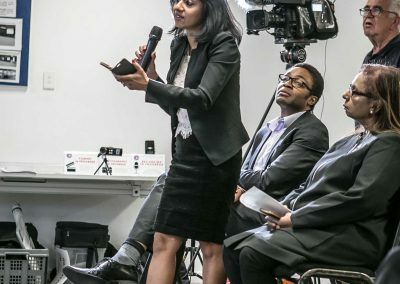 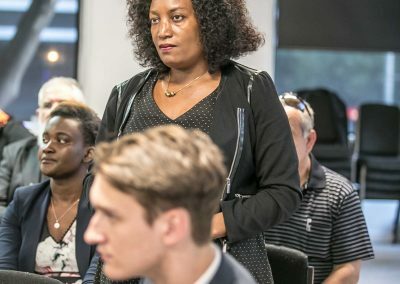 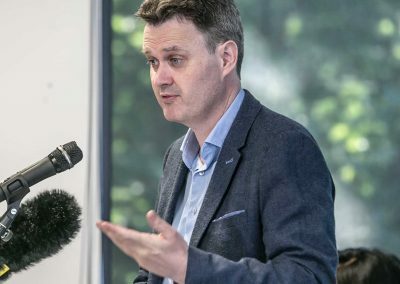 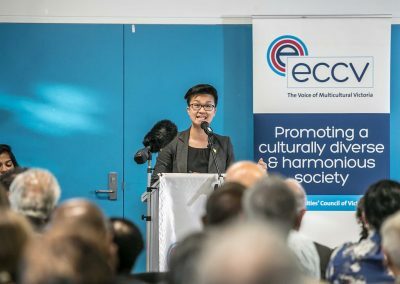 Issues raised included the need for reaffirming values of culture diversity, funding of settlement and social cohesion programs, unconscious bias within employment recruiting, domestic violence and racism in politics. 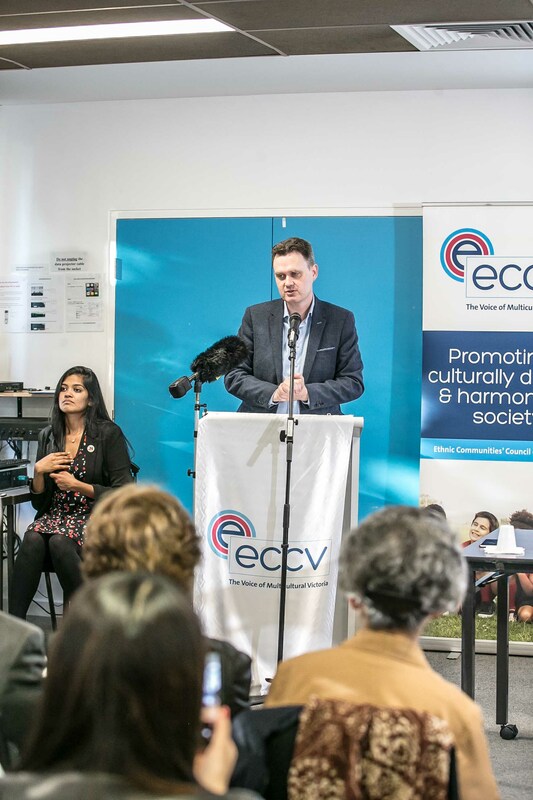 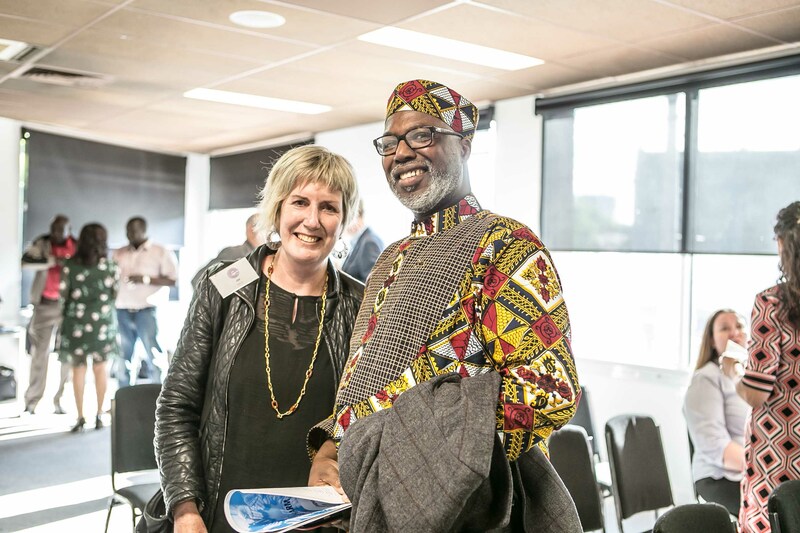 Ethnic Communities’ Council of Victoria (ECCV) was proud to have launched #FactNotFiction on the evening of Thursday 15 November 2018. 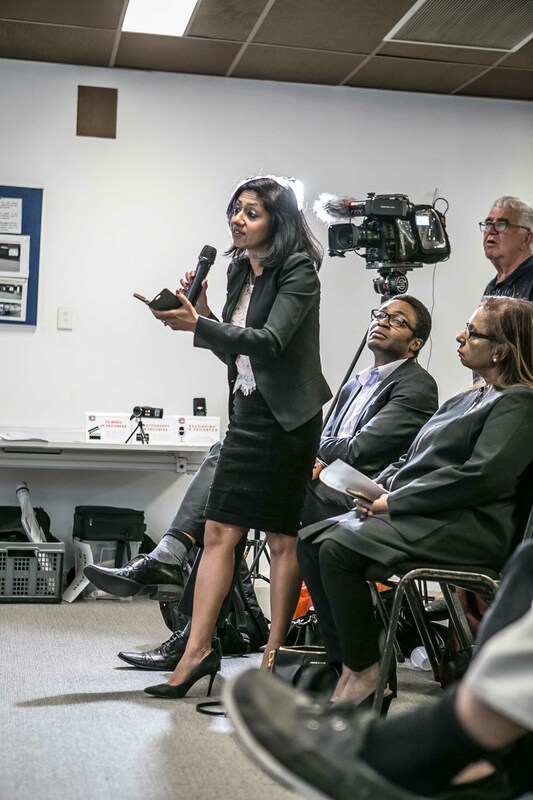 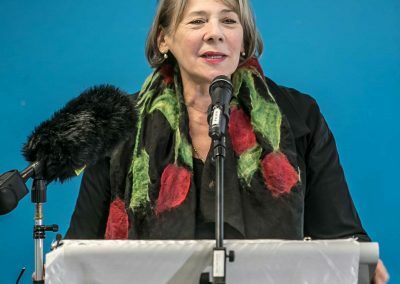 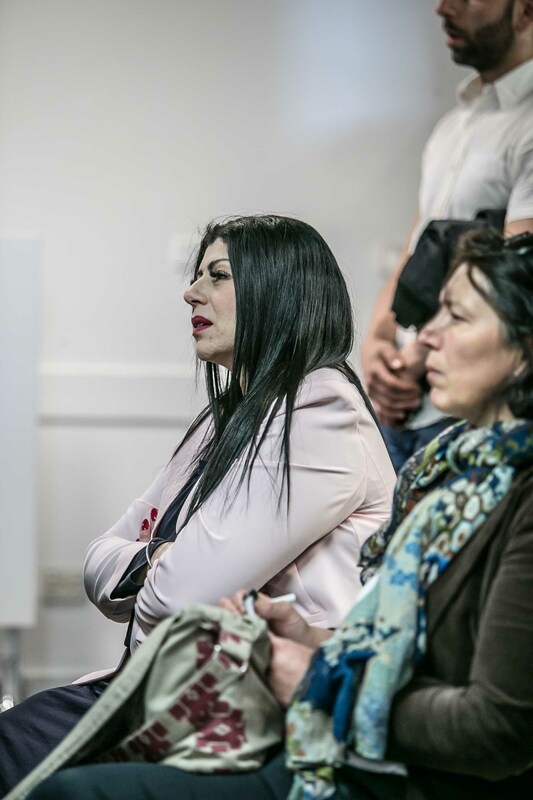 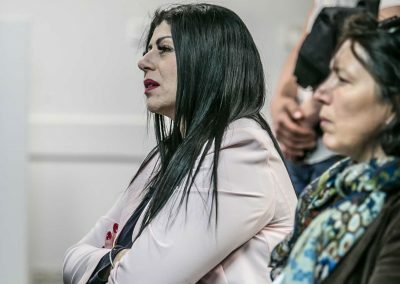 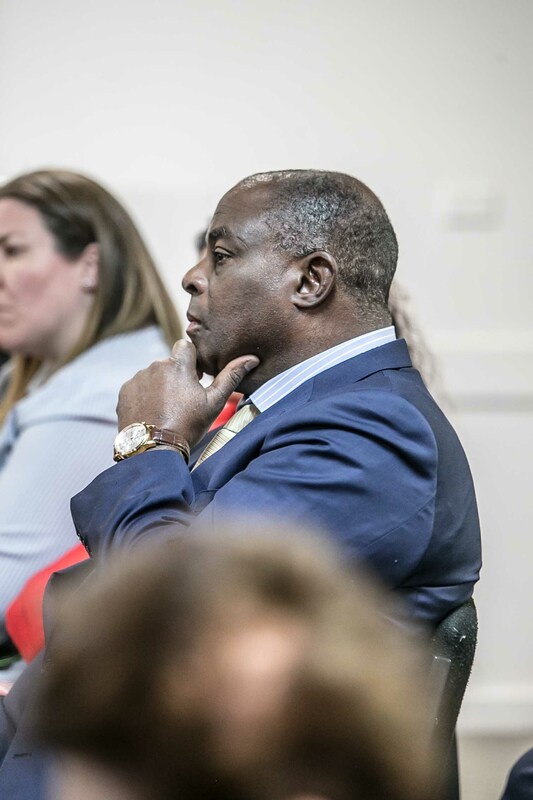 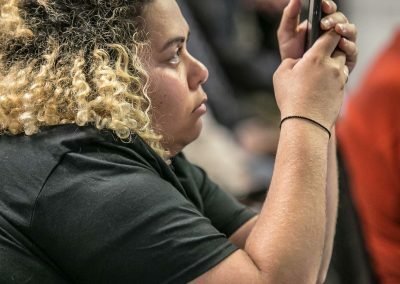 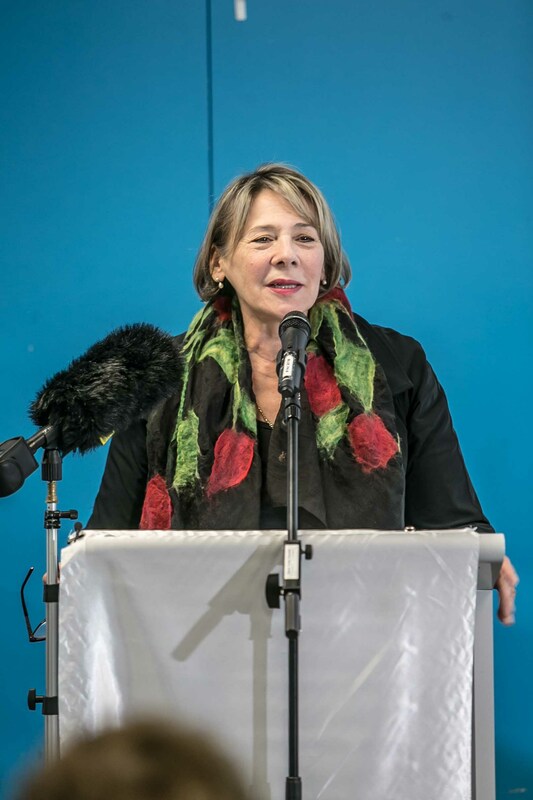 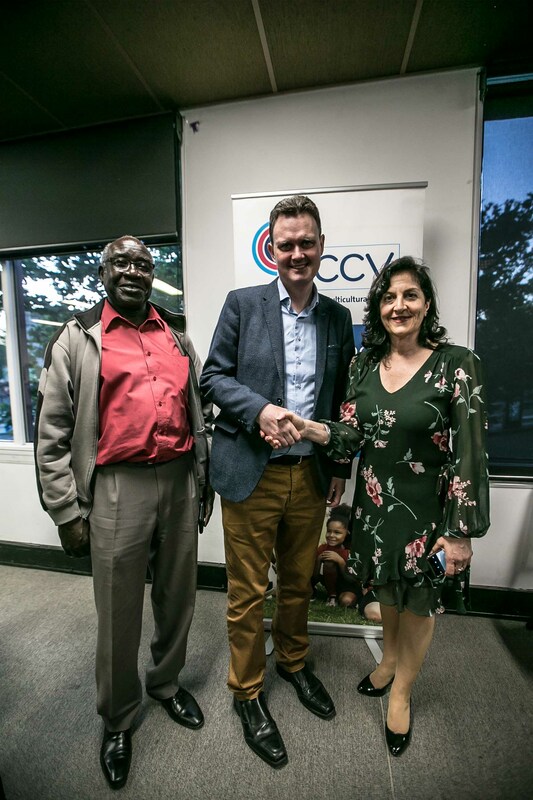 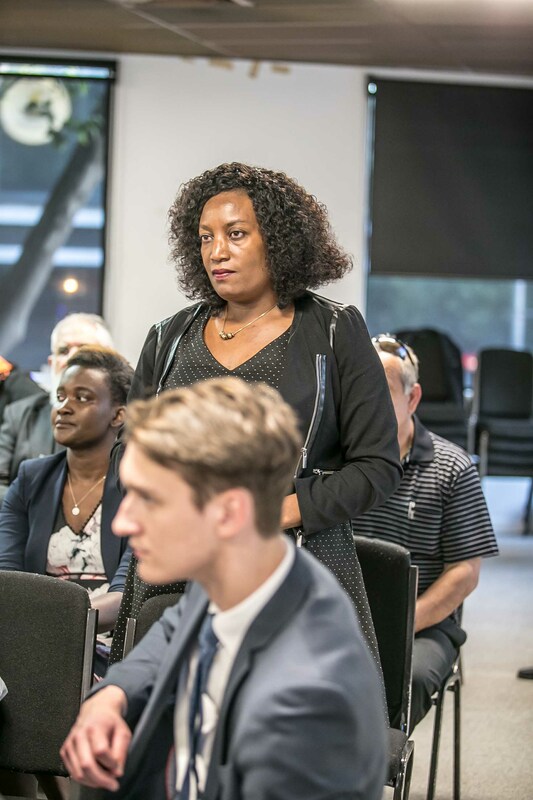 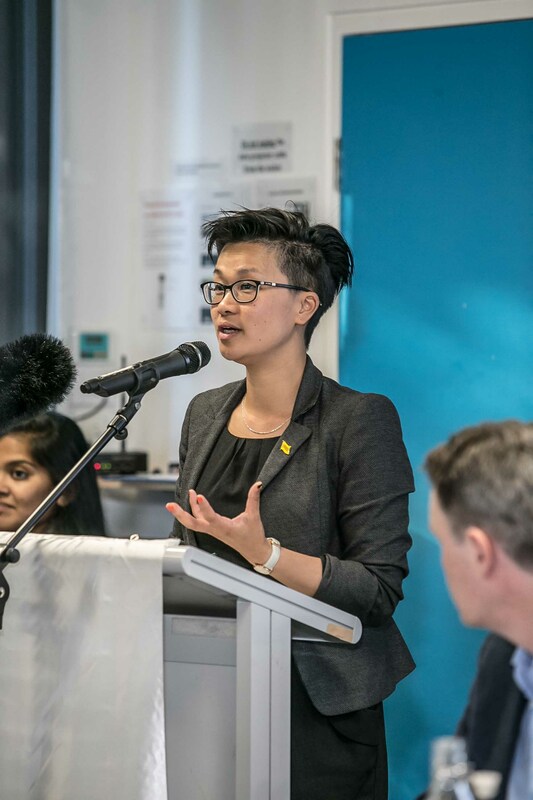 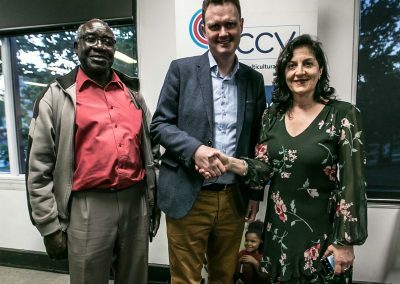 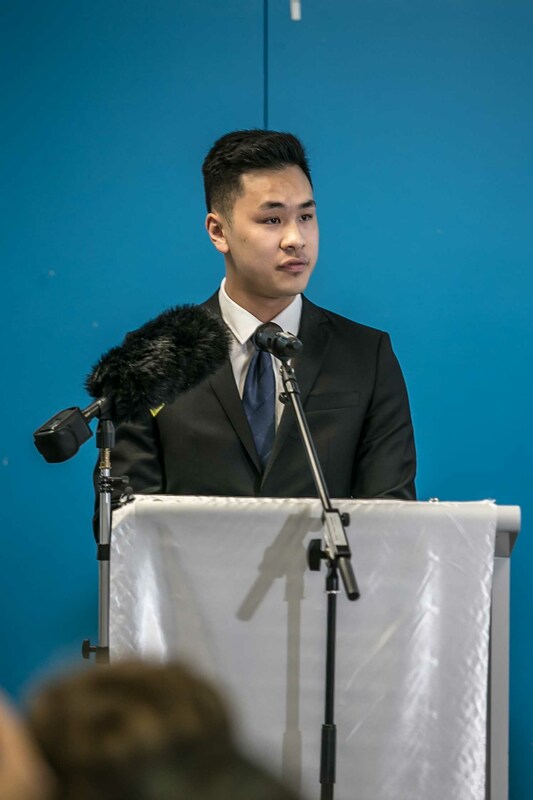 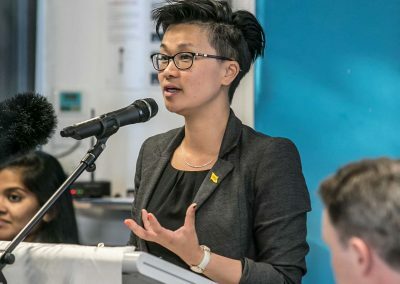 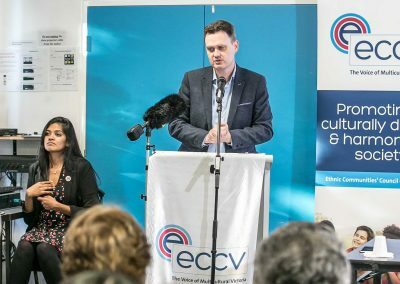 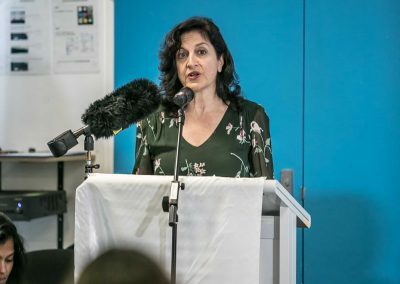 Cr Kris Pavlidis Chairperson of the ECCV stated “The ECCV thanks the State Labor Government for their generous support of this new anti-racism leadership initiative.” The State Government announced an additional $50,000, totaling $200,000 to fund the #FactNotFiction campaign. 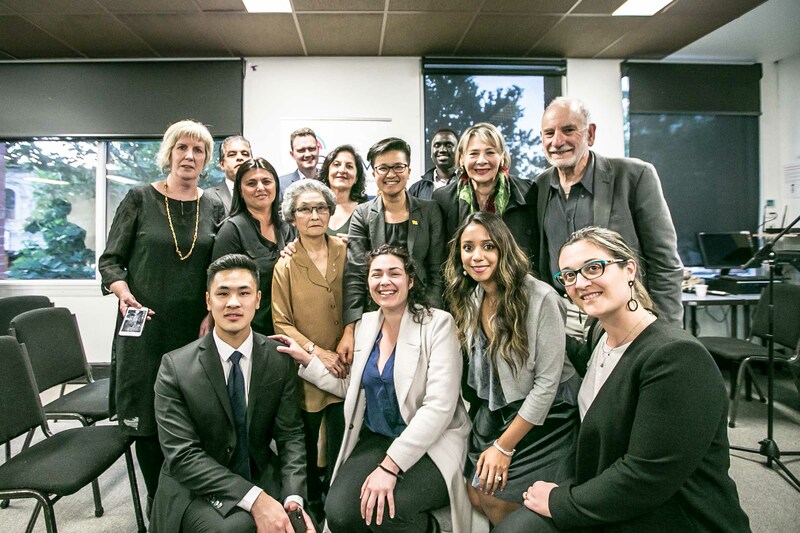 We are joining with Colour Code #NoRacismInPolitics to build a more inclusive, stronger and harmonious Victoria. 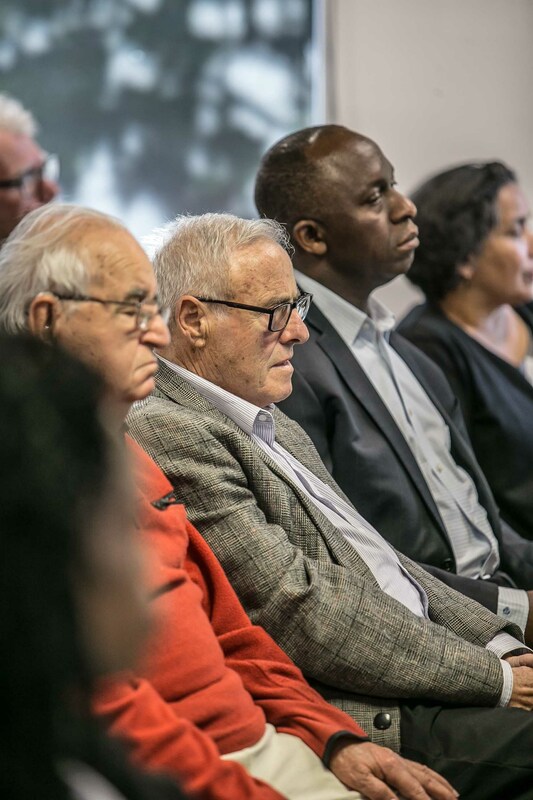 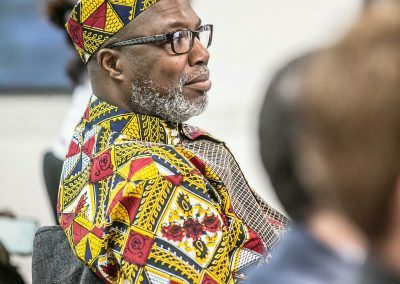 Now, more than ever, we need to take a strong stance against racism and continue to celebrate the goodness and diversity that lives within our community and is integral to our neighbourhoods. 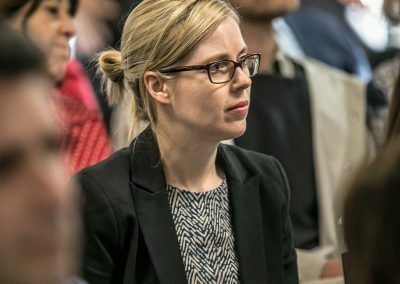 We need to stand up for what we know to be facts. 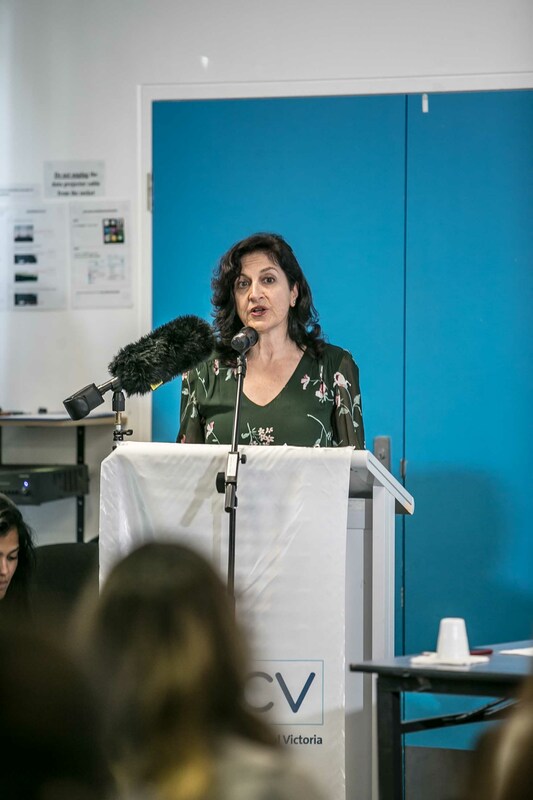 We must call out the harmful misinformation that is being used to divide our neighbours, our colleagues, team mates and our community. 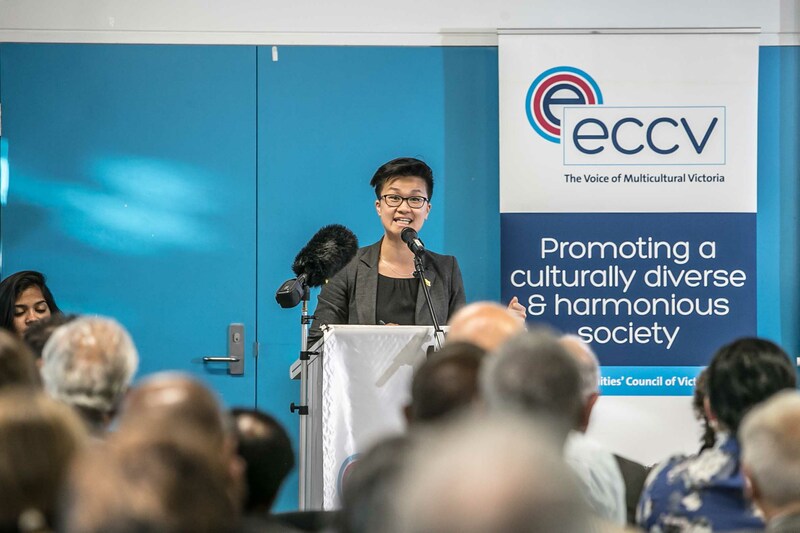 We need to back each other and continue to work collaboratively in an environment that continues to promote social cohesion.